There are many situations and events that can cause stress in cats. Cats are sensitive and don't like their routine being disturbed. Here are the main reasons for stress in cats. 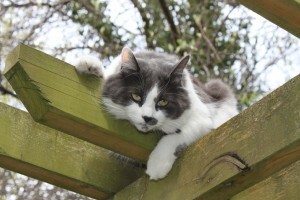 It is quite easy to observe your cat and identify signs of stress as cats show stress through clear behaviour and actions. 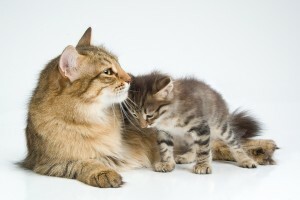 For instance, they will toilet outside of their litter box, urinate around the home, spray urine, vertical scratch on furniture, lose their appetite, excessively groom, hide or disappear for long periods, cause conflict with other cats, show aggression and have less interaction with the family when they are stressed. Firstly take your cat to your vet to ensure that their stress is not due to a medical problem. You will need to think about and identify the cause of your cat's stress and proactively reduce their stress. You can do this by implementing a number of simple measures. More details on reducing cat stress here. When you have implemented the changes, monitor your cat for a period of 2-3 weeks to observe their behaviour and to see if they are feeling less stressed and more relaxed. 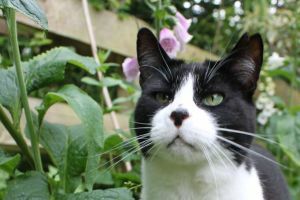 If your cat's stress remains, then you should seek the help and advice of your vet and a cat behaviour specialist. Just like humans, stress in cats can develop into an illness and medical conditions. A cat may develop common stress related medical problems such as cystitis, alopecia, anorexia or obesity if it is not treated. If you have a multi-cat household, it may be more likely that one or more of your cats will encounter stress because of their territorial natures. 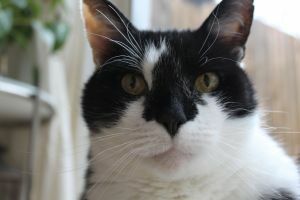 Observe their behaviours and interaction together and deal with the stress reduction promptly in order to maintain a harmonious household with all of the cats.